In many ways, i've always been your match. Not in the sense of love but more of a reflection. I think we've both always known it, but neither have admitted it. I was utterly intimated by you. You made me self-conscious. You made me fumble (and fumbling is something both of us avoid). But maybe that just points to the truth: the thing i see most as standing in my way is... myself. I'm my biggest enemy. I make myself fumble. and didn't know what to do about it. You see, we both stand tall. But neither of us have always. I was there on the day of your transformation (if such an event can even be confined to one day). I saw you - shaggy hair, baggy jeans, white v-neck and green zip-up - find words for ideas that i now can see were already swirling in your heart for quite some time. You had a certain change you wanted to make, and on that night, you started it. I've witnessed you grow into it, and i want to tell you that you've arrived in a way that the younger you probably wouldn't have known you could. But know things, you do. And i can only say that because of something we both know: we can see through each other in a way that not everyone can. You know that you could not (can not) hide who you really are from me no matter how many other people were (are) fooled. And maybe that's where we differ. Intelligence, yes. We both have some degree of it. A keen perception. We're born with a unique version of it. An intricate dance that sees the depth of people: not often a problem. But it's the choice where we falter. We see, and we have a choice of what to do from there. We can do good. We can be selfless. We can be brave. We can be kind. 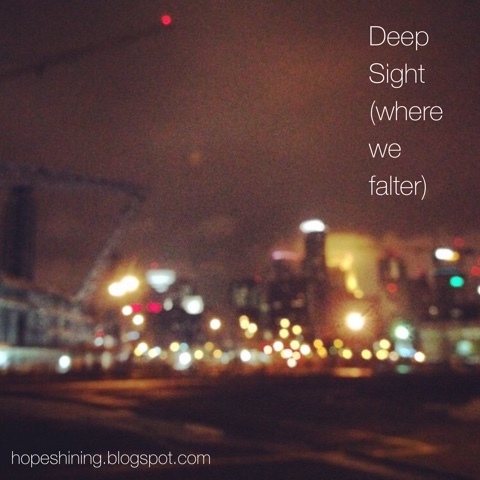 We can use our deep sight to make impacts.. Big ones. Or we can let it lay dormant or not use it fully. Or we can forget why we need to use it in the first place. It's always been our choice. Intimated girl and v-neck boy - it's always been our choice. And it's the conviction that stands between us. When someone knows that they are not living all they can be and sees a match that can challenge them to do just that, it freezes a clod ooze over the warm sunshine life. And to get warm again, you have to step away, away from the match to find sunlight again. I want to tell you, i understand. But i want to tell you, i'm not going to stop. We must make a stand or not stand at all. We are meant to do good for a greater good, and we are not meant to back down. I've grown to embrace the cold because the cold is convicting. And once you've been cold, you have a new appreciation for warmth - from true sunlight. V-neck boy, i want to tell you that i still believe in you. I still see who you are. And, maybe more importantly, I see who you could (can) become. Don't shrink from what lies dormant deep inside of you. Life was made for more. You have a part to contribute.